Format: Purified antibody in Tris buffer, pH 7.3-7.7, 1% BSA, <0.1% sodium azide. Annexin A1 (ANXA1) is a membrane protein that plays a role in innate and adaptive immunity by controlling the biosynthesis of inflammation, prostaglandins, and leukotriene mediators. ANXA1 is overexpressed in 97% of samples from patients with hairy cell leukemia and is absent in other B-cell lymphomas. High ANXA1 expression is also associated with advanced stage esophageal and esophagogastric junction adenocarcinoma and has been linked to advanced and metastatic disease. Antigen: Recombinant human Annexin A1. Specificity: Human Annexin A1. Reactivity with other species has not been investigated. Immunohistochemistry: use at a dilution of 1:100-1:200 on formalin-fixed, paraffin-embedded samples after heat-induced epitope retrieval at pH 9 for 10-30 minutes. For in vitro investigational use only. 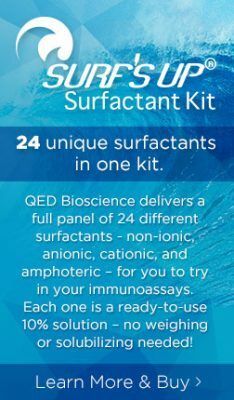 Not for use in diagnostic or therapeutic applications.